Pain Coming For Democrats? — Michael Horowitz, the inspector general of the Department of Justice, spent the last two days testifying before Congress about the behavior of FBI officials in their investigations of Hillary Clinton’s, private, poorly secured email server, with FBI director Christopher Wray joining him Monday (June 18). They strongly hinted the matter is not over. 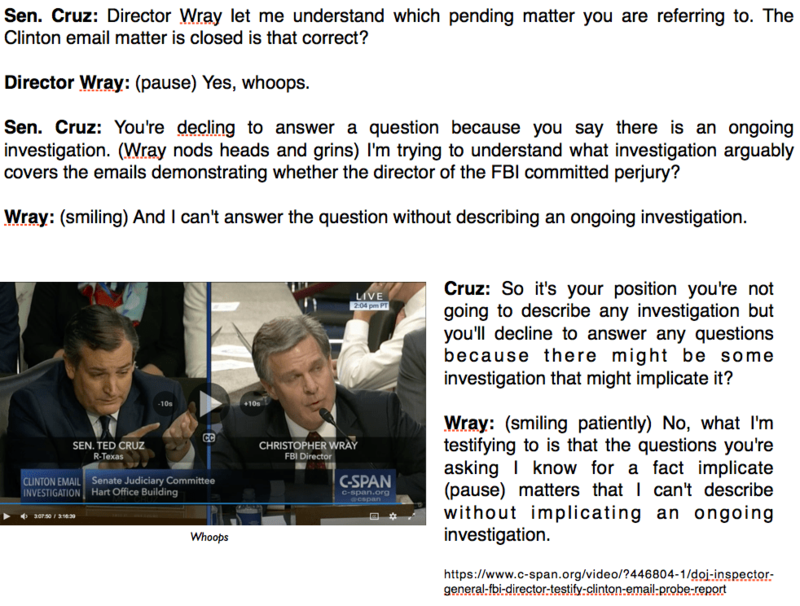 The illustration below — click on it for a better view — accurately describes Wray’s answers to Sen. Ted Cruz, which can be seen first hand here at about the 3:07 mark. Author BillLawrencePosted on June 19, 2018 June 19, 2018 Categories Croynism, feudalism1 Comment on Pain Coming For Democrats? 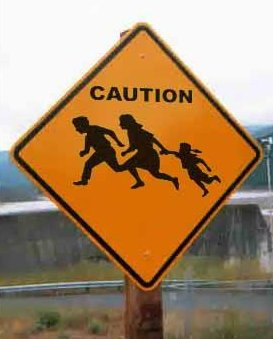 Homeschooling Vs Border Crossing — Just a question to ponder but why are Democrats OK with children being separated from their parents for homeschooling or spanking or smoking pot but not for being forced to participate in an illegal and dangerous border crossing? Brig o’ Doon is a real place. No, not the disappearing town from the Broadway musical but the late medieval pedestrian bridge in Ayrshire, Scotland over the River Doon. It’s what Tam O’Shanter crosses to escape the witches, warlocks and demons chasing him in Robert Burns’ poem. Iruyk he znk Xomnzy ul Sgt, gz znk rkgyz ykz hkyojk znks, gxk znk Xomnzy ul znk Yvoxoz. 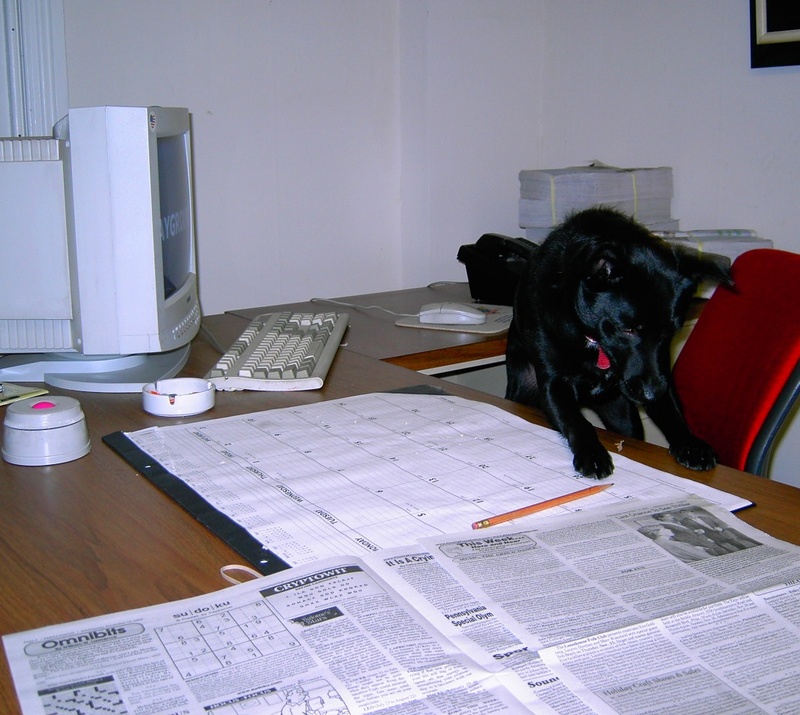 Answer to yesterday’s William Lawrence Sr Cryptowit quote puzzle: He who rides slowly gets just as far, only it takes longer.